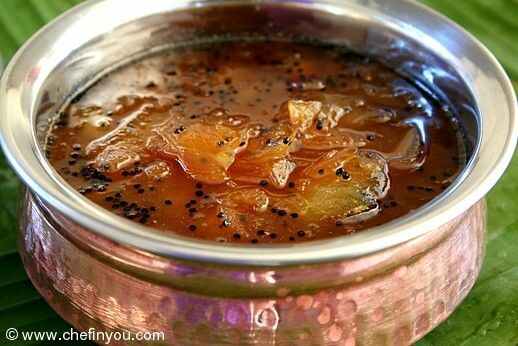 A must during South Indian Tamil New Year, this Mango Chutney/sauce is a beautiful balance between tangy, sour, bitter, sweet, pungent and astringent tastes. 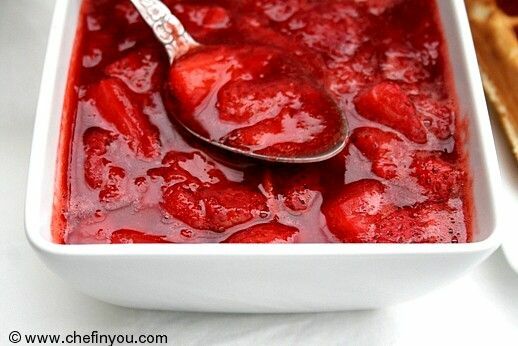 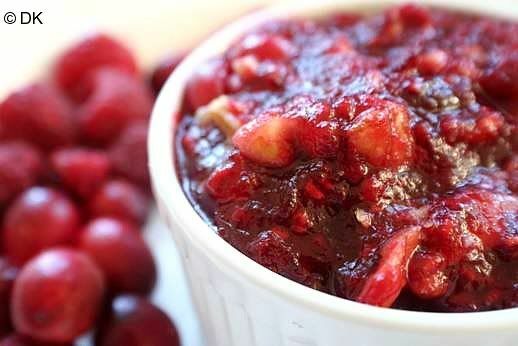 Simple Stewed Strawberries with natural sweetener Agave instead of refined white sugar. 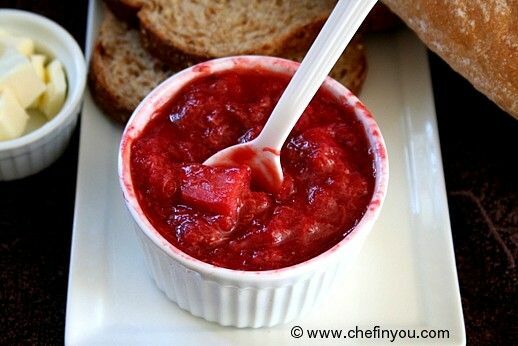 Perfect when served warm over pancakes, waffles, toasts for breakfast and for desserts like puddings, custard, cakes and icecream.